Repeat Your Answer. Science and common experience tell us that repeating a thing makes it more memorable. So find subtle ways to repeat your answers, without making it obvious what you are doing. Ask a Question. People are more likely to absorb and retain new information if their brain is engaged, which is what happens when you ask a person you’ve just met a question. Tell a Story. We’re all drawn to a good story. Use relevant, brief anecdotes or quick stories to stand out. Just don’t be that guy who launches into their entire life story within the first two minutes of an introduction. Be Clear and Avoid Trying to Be Overly Clever. Always choose clarity. When you are meeting someone for the first time, you should be cautious about trying to be overly clever in your answers to these questions. Create a Personal Association. A great way to be memorable is to create an association between your answers to the three questions and something that is more memorable to the person you are talking to. To use a quick example: a person you just met is more likely to remember your name if you share a name with someone in their family. Find ways to leverage these connections. Find Your Inner Black Sheep. Look for ways to describe yourself that highlights your uniqueness. Be different if you want to be remembered. Vanilla is boring and forgettable; Cherry Garcia, with cherries and chocolate chunks, is memorable. Mmmmm…Cherry Garcia. Where was I? When telling someone your name for the first time, one of the best ways to help them remember it is by repeating your name in a subtle way. One of the reasons people often have trouble remembering names is because saying it just once makes it unlikely the name will move from that person’s short-term memory, or their “working memory,” to their long-term memory. Another way to make your name memorable is to tell a story, such as how you got your name. For example, my first name is John, which isn’t very memorable. However, I was named after my grandfather, a B-17 pilot during WWII who I have previously written about for AoM. If I meet you and I explain this background and tell a quick story about my grandfather, you are more likely to remember my name. 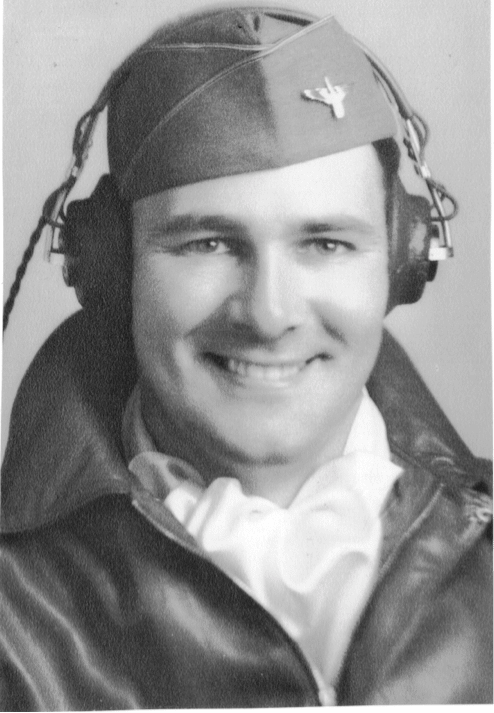 The author’s grandfather, John H. Corcoran Sr., a B-17 pilot during WWII. Or, let’s say your name is Steve, and it turns out your parents named you after Steve McQueen, the actor. Because they had a sense of humor. Another way to make your name memorable is to create an association between your name and something that is more memorable to the person you are talking to. For example, if you say your name is “Mitch” and the person you are talking to says, “I have an uncle named Mitch,” you could ask a number of questions about Uncle Mitch so that the person you have just met makes a firm connection between you and their uncle. I have an unusual last name, which most people have trouble spelling. When I lived in Washington D.C., I would say I was “John Corcoran, spelled like the Corcoran Gallery,” an art museum near the White House. I think some people may have wondered whether I was heir to some Corcoran Gallery fortune, which probably made me even more memorable. (I also think that’s what got me a first date with my wife.) By creating an association between my last name and the Corcoran Gallery – a name which most people in Washington D.C. already know – I increased the chances my unusual last name would be memorable. If you want someone you just met to remember what you do, a great approach is to ask a question that forces them to think. Art of Manliness style expert Antonio Centeno uses this approach to explain what he does for a living, which has evolved from custom clothier to creating online courses and videos which help men to dress better. When you force the person you are talking with to think by asking a question, and to relate what you do to their own life, they are far more likely to remember you. Derek Coburn wears multiple hats. He’s a financial advisor for high net-worth individuals, he’s an entrepreneur, and he’s an author of the great book Networking Is Not Working. Worse yet, Dittakavi found many people thought he was an employee rather than a business owner. Eventually, Dittakavi settled on a way of describing what he does. He started saying, “I’m Naveen and I run a web development company,” and he found that people he met were far more likely to understand him – and to remember him as well. When answering where you are from, your answer will always be relative. If you’re standing in Miami, it is memorable to say you’re from New York City. If you’re in Manhattan, you need to be more specific. But the best approach is to find a way of explaining where you are from that is distinct. In other words, to describe where you live that makes you seem like a black sheep in a sea of white sheep. Antonio Centeno does this beautifully. On the surface, Centeno appears pretty clean cut. He’s a former Marine with short-cropped hair and no unusual facial hair or visible tattoos. You might even say he could blend into a crowd. But it’s all in how you spin it. Antonio is actually a heterosexual male style expert who runs his fashion empire out of his hometown, in tiny Wittenberg, Wisconsin. Population? 1,113 people. Now that is a little more memorable. He could say he’s from Wisconsin and leave it at that. But highlighting how small his hometown is makes him far more memorable. Antonio finds his uniqueness means people are more likely to remember him, and they’re more likely to later tell their brother or husband or father to check out his website, Real Men Real Style. “Many times I’ll get an email from someone a few weeks after we’ve met saying you were brought up in a conversation,” says Centeno. Hopefully these strategies gave you some ideas for making yourself more memorable the next time you meet someone new and need to answer the world’s most common introductory questions. And remember: if you try these strategies and people still can’t remember you, you can always move to a small town in rural Wisconsin, because that is really memorable. I’m sure Antonio would enjoy the company. How do you describe yourself in a memorable way when you meet someone new? Share it in the comments below. John Corcoran is an attorney, former Clinton White House Writer, and is not really an heir to the Corcoran Art Gallery fortune (but don’t tell his wife that). 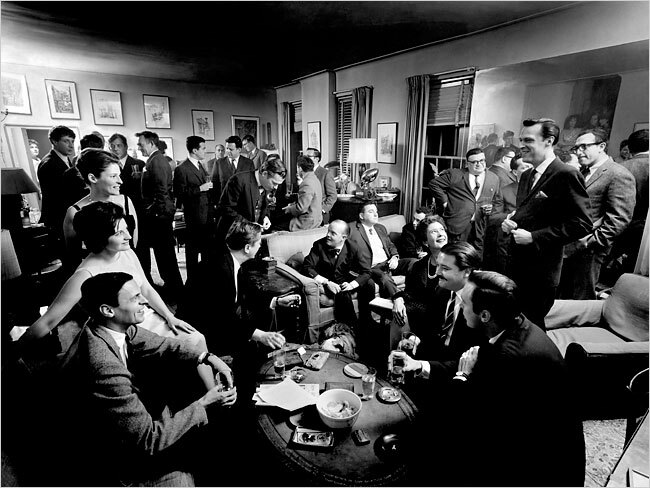 He writes about business networking and social skills for Art of Manliness and for his own site, Smart Business Revolution. He has a free, 52+ page guide which you can download, called How to Increase Your Income Today by Building Relationships with Influencers, Even if you Hate Networking.